Mental health affects us all and it’s estimated that one in four of us will struggle with a mental health condition at some point in our lives. While there have been leaps and bounds in eradicating mental health stigma, the numbers speak for themselves – more of us are struggling than ever before. Did you know the UK gets top ranking worldwide for raising awareness and reducing the stigma of mental health, according to the Economist Intelligence Unit’s Mental Integration Index? While there are certainly no quick-fixes for these types of problems, there are treatment options available to help you overcome or manage your condition. 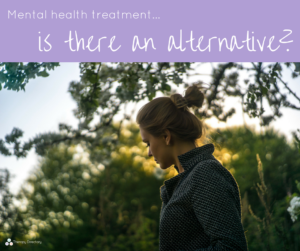 From talking therapies and lifestyle changes, to medication and inpatient facilities, there are different approaches depending on the individual. Most people will get treatment through their doctor. According to mental health charity Mind, 81% of people first come into contact with mental health services through their GP. Because there are more and more of us suffering, however, the mental health services are at risk of being overwhelmed. A survey of NHS trusts found that seven in 10 mental health leaders expected demand to increase this year. What does this mean then for those suffering from conditions like anxiety and depression? A lean towards self-management and self-care. One way the NHS is trying to ease the strain on mental health services is by encouraging us to look after our own mental health as we would our physical health. The ‘self-care’ movement is helping the public understand the importance of looking after mental health, working as both a management technique and preventative. 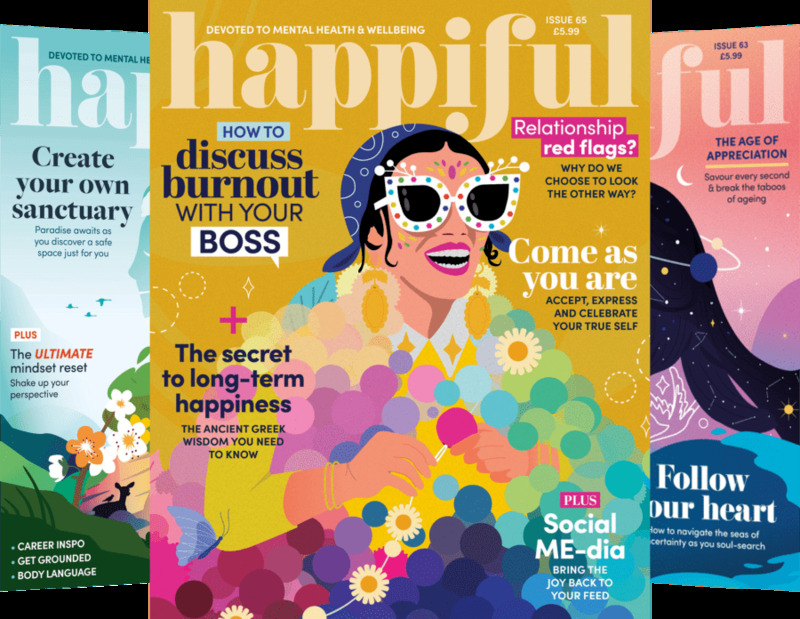 Included within this self-care movement are activities like mindfulness meditation, taking time to really relax, read, go for walks and eat well. At Therapy Directory, we of course preach the benefits of holistic and complementary therapies to support our health – but it’s time for us to acknowledge their impact on our mental health too. Supporting your current treatment or simply used as a self-management technique, complementary therapies can help to lower stress, encourage relaxation and even help with conditions like depression and anxiety. 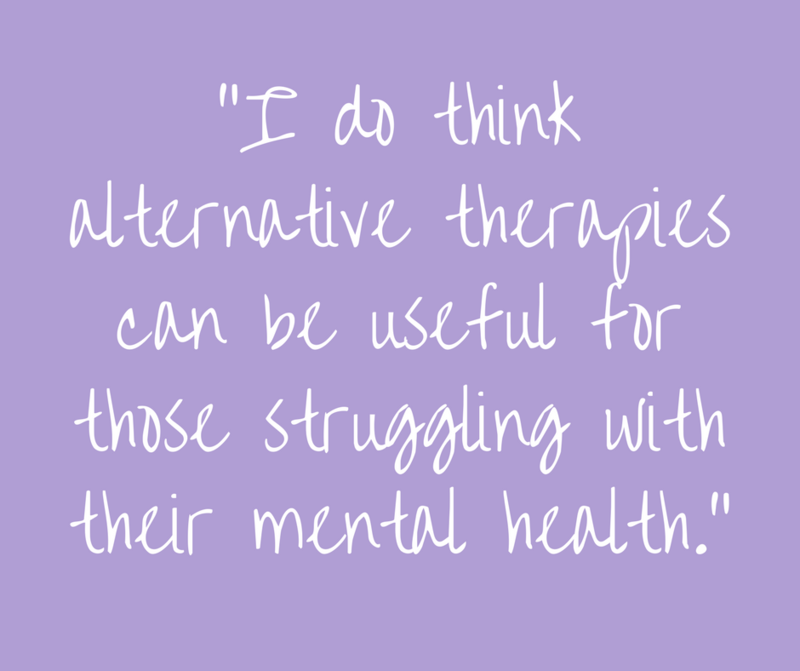 “I do think alternative therapies can be useful for those struggling with their mental health, one of the main reasons being that an alternative therapist usually has the time to talk to someone in a way that a GP, due to time constraints, isn’t always able to. Also, there can be limited options at the disposal of a GP. When it comes to testing the efficiency of these treatments, evidence is minimal. This is partly because more research is needed and partly because the treatments are so tailored to the individual, it’s hard to have randomised controlled trials required by organisations like the National Institute for Health and Care Excellence (NICE). This isn’t stopping people from benefitting hugely from these therapies. We’re also seeing more research being carried out to raise awareness of complementary therapies for mental health. One project we’re particularly excited to see is set to gain data on how acupuncture can help those with anxiety. To collect data and help determine the effectiveness of acupuncture for anxiety and anxiety-based depression, anxiety charity Anxiety UK have teamed up the British Acupuncture Council (BAcC). Members of Anxiety UK will be able to access the treatment through this partnership, helping both organisations build up a body of evidence. “In Chinese medicine, any mental health condition is not recognised as one particular syndrome. It views the body as a system of meridians, through which flow blood and a life force known as Qi. Illness occurs when the Qi becomes blocked, flows the wrong way, is too weak or too strong. Acupuncture aims to restore the balance of Qi and blood within the meridians, thus restoring health. “When a patient presents with anxiety, the acupuncture therapist will look at addressing the patient’s imbalance which is unique to them. The acupuncturist will assess this via their account of their illness, taking Chinese pulse and tongue diagnosis plus listening to how they speak and observing how they look and move. It is this holistic, tailored and individual approach that draws many of us to alternative and complementary therapy. 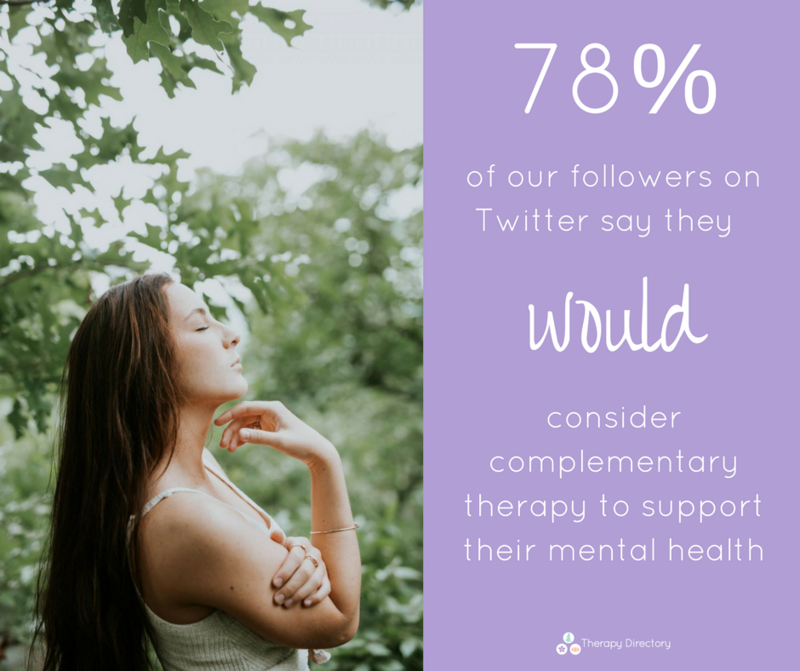 In a recent poll of Therapy Directory Twitter followers, 78% of respondents said they would consider using complementary therapies to support their mental health. “I had acupuncture for ongoing back problems as part of a physiotherapy programme. It did help short term, although I was not able to have my sessions a week apart and I’ve since been advised that would’ve been more beneficial and may have helped me in the long term. If you’re considering trying acupuncture for anxiety, you may have some questions before you begin. We asked Jackie to outline what typically happens when you attend your first acupuncture session. “Acupuncturists can vary in how they approach patients. In general, I would expect the patient to be welcomed, asked to fill in some basic forms and then given a full medical interview. Given that acupuncture is an holistic medicine, the patient should be prepared to be asked a whole variety of questions, which may not appear to have any direct correlation to the presenting condition, but which gives the acupuncturist information to build up a complete picture of the patient’s health and lifestyle. The patient may then be asked to show his/her tongue and will have their pulses taken in the Chinese style. This means that pulses will be taken on both wrists. They will then be asked to lie on a couch and treatment will commence. Once the needles are in place they will usually be kept in for between 20 to 40 minutes. During this time it is likely that the patient will be left in a calm room, possibly with music, to try and relax and let the treatment work. They may feel relaxed immediately after treatment or it may take several treatments before the effect can be felt. It is likely to depend upon the cause of the anxiety. Patients should expect to come for at least four to six treatments, and it is likely that they will come for maintenance on an ongoing basis. If you are worried about your mental health, your first port of call should be your doctor. You can speak to them about treatment options and self-care practices you might want to try. 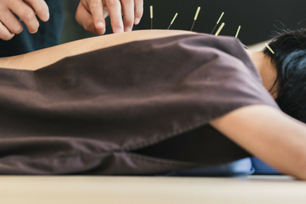 Complementary therapies like acupuncture are holistic and natural in nature, meaning you can often use them alongside any other treatment you’re receiving. Speaking to your doctor and complementary therapist about other treatments you’re receiving helps everyone involved and gives your care team the opportunity to say if they feel there’s any conflict of interest. However you choose to look after your mental health, know that you are not alone and that there are several options available to you. If you’re interested in trying acupuncture, you can learn more and find a practitioner near you on our acupuncture page.